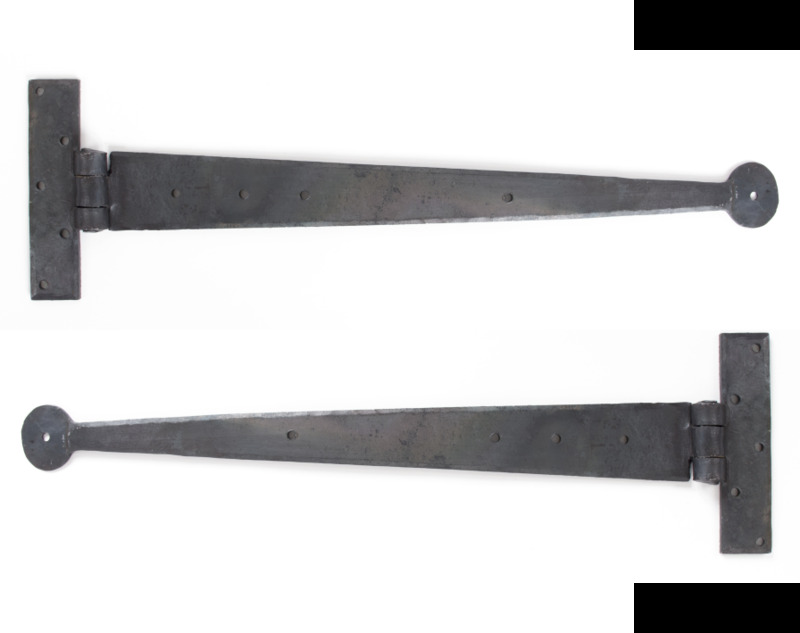 This pair of 18" T Hinges has penny round end and is our best seller. The hinge should reach two thirds of the way across the door and is suitable for a 2ft 6" internal door. Sold in pairs and supplied with necessary fixing screws. Matching thumblatch.